In a large bowl (or 2 if you don't have a big metal one like I do) mix marshmallows and popped, popcorn together, then set aside. In a medium saucepan melt butter, corn syrup and brown sugar together. Stir until combined well and butter is melted. Add sweet & condensed milk and boil mixture for 7 minutes. Remove from heat and add vanilla. 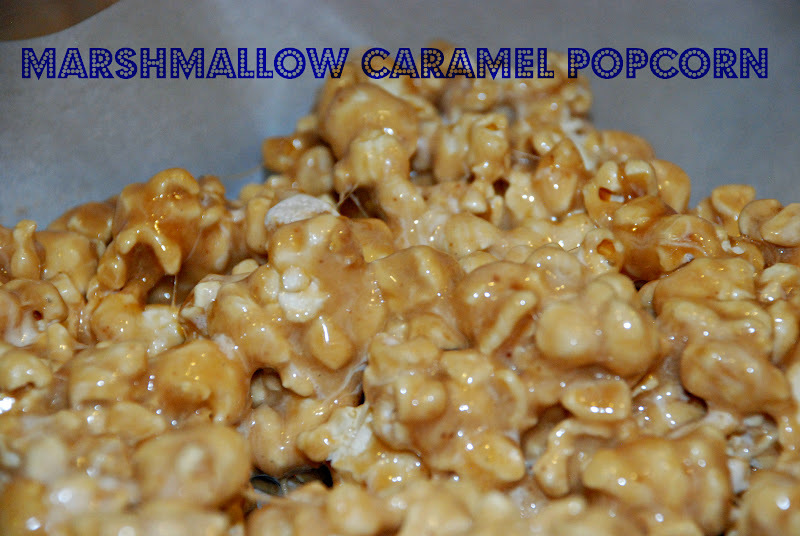 Pour slowly over popcorn and marshmallow mixture till well blended, then place on piece of parchment paper. Let cool 30 minutes. Enjoy! We decided to buy an air popper this week. For years we just buy the little microwave popcorn packages, but we decided we wanted to start making some sweet popcorn. It was like a popcorn fiesta today and our house. Delicious! !